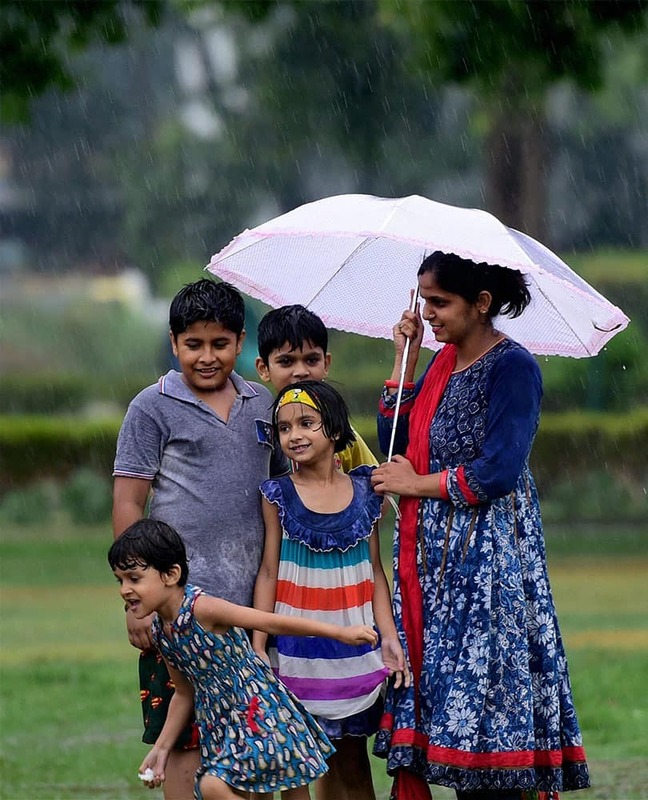 Children enjoy monsoon shower in New Delhi. 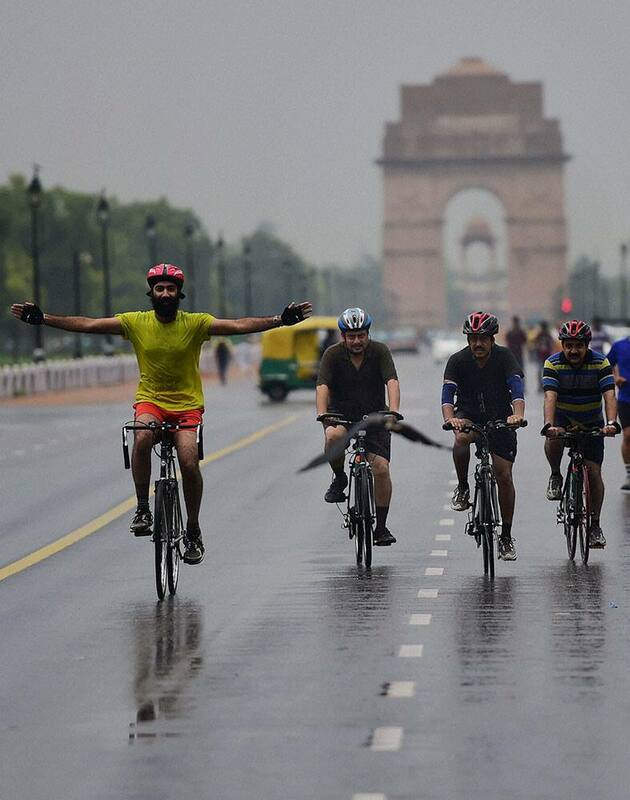 Cyclist at the Rajpath as the national capital received early morning showers in New Delhi. 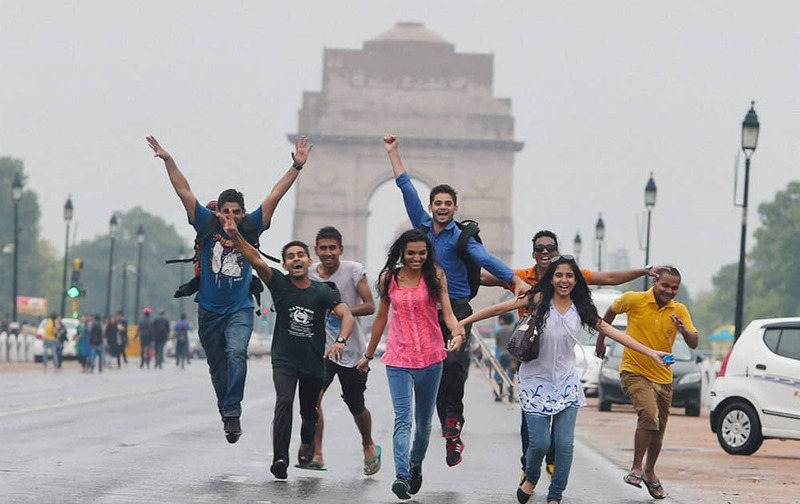 Youngsters enjoying the pre-monsoon showers at India Gate in New Delhi. 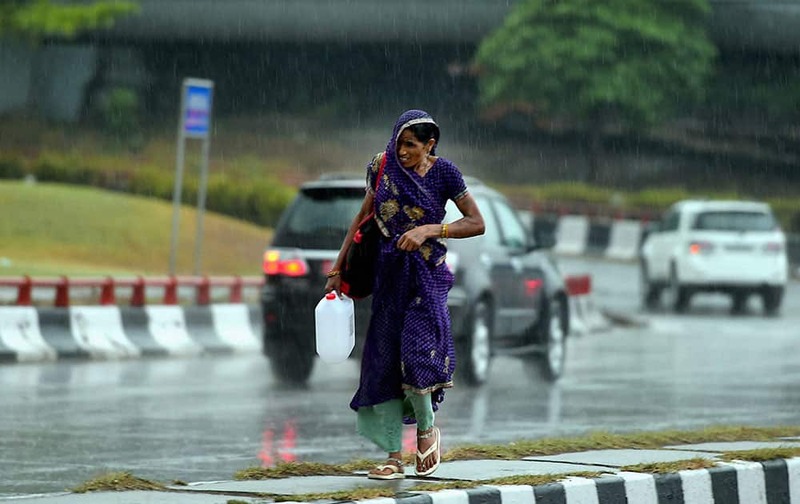 A woman walks cautiously at a road divider as it rains at India Gate in New Delhi. 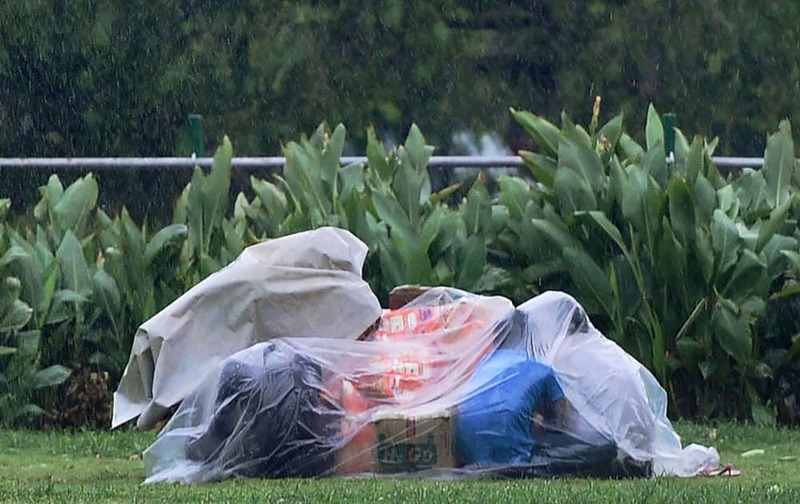 People cover themselves with a polythene during a storm accompanied by shower in New Delhi. 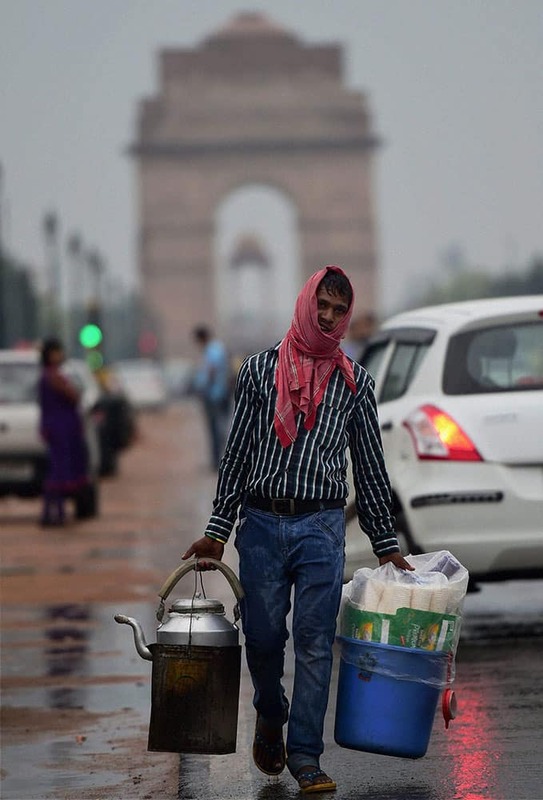 A tea vendor walks along Rajpath after rains in New Delhi. 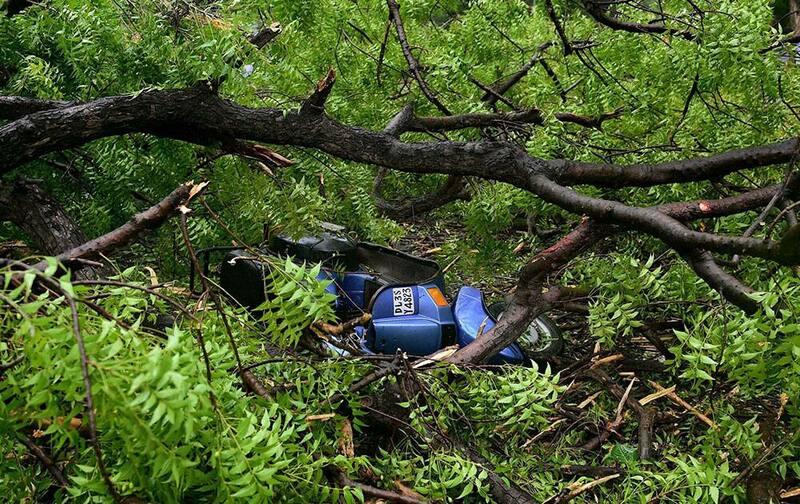 A scooter is crushed under a fallen tree at a road during a storm in New Delhi. 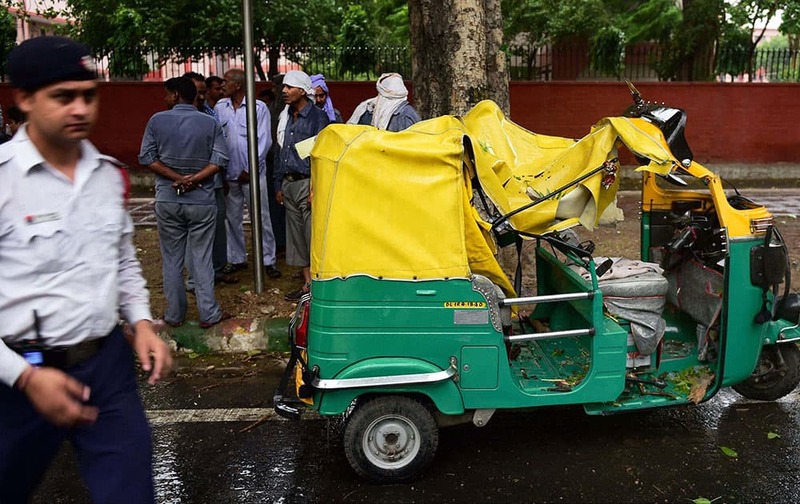 An autorickshaw that was crushed under a fallen tree at a road during a storm in New Delhi. 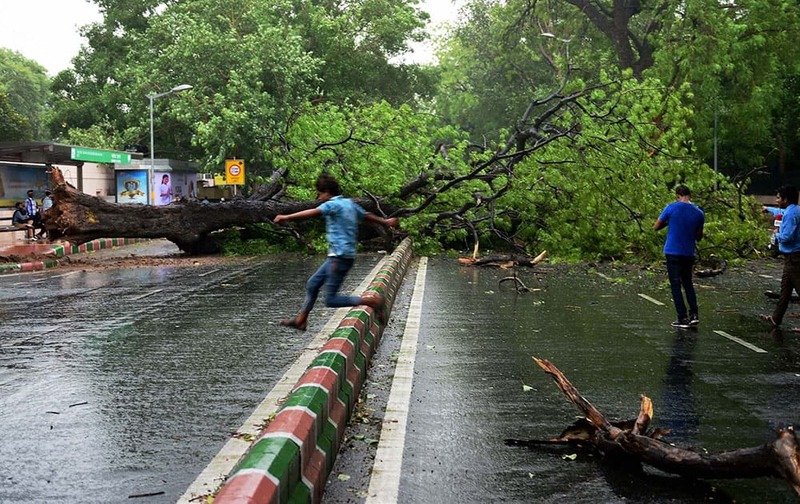 A tree falls on a road during a storm accompanied by shower in New Delhi. 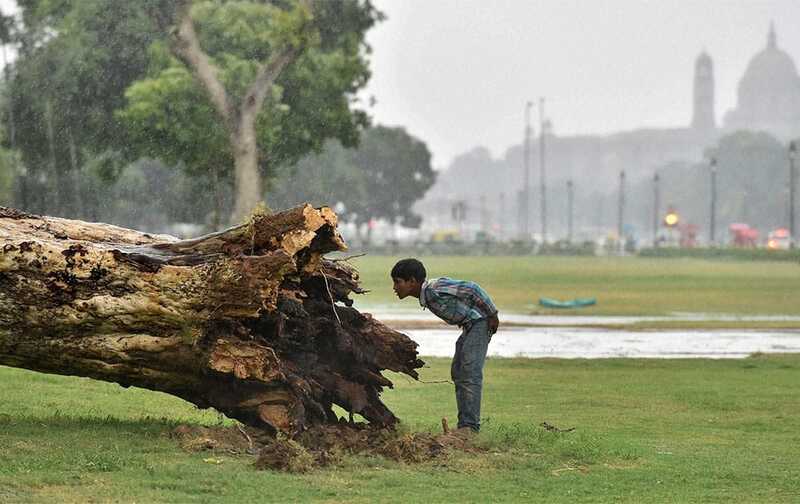 A boy looks at a fallen tree during heavy wind and pre-monsoon showers at Rajpath. 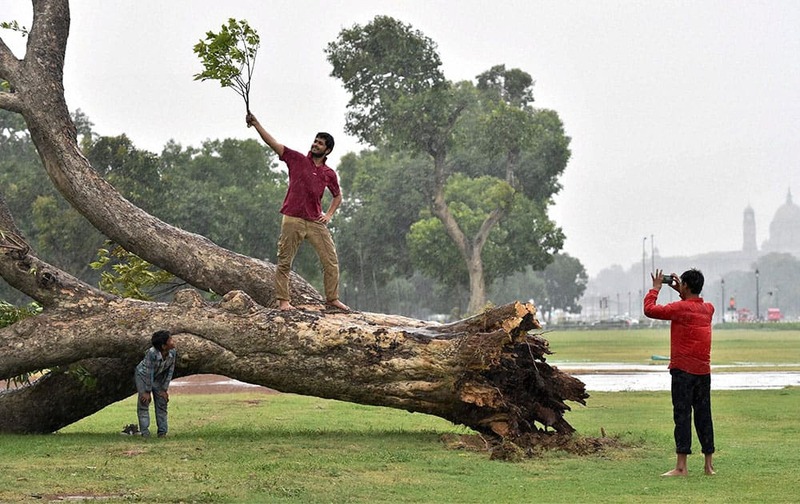 People enjoy with a fallen tree during the pre-monsoon showers at Rajpath in New Delhi.